BMW Motorrad has partnered with Alpinestars to develop a new airbag-equipped jacket that will provide riders with new layers of safety and convenience. 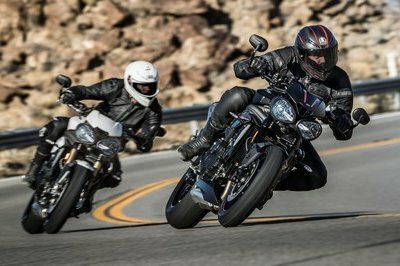 If this kind of partnership sounds familiar, it’s because other motorcycle companies have ventured into similar collaborations with apparel makers. Dainese actually has two similar partnerships in place, one with Ducati and another one with Peugeot. But the BMW-Alpinestars alliance hopes to take the technology to the next level with a product that makes full use of the latter’s patented Tech-Air technology. A BMW Motorrad jacket will be the first fruit of this collaboration, followed by a waistcoat containing Alpinestars’ Tech-Air airbag technology. More items are expected to follow suit although an announcement on what they’re going to be has yet to be made. The new products will also use Alpinestars’ integrated computer systems so instead of linking the jacket to the motorcycle’s system, the rider can just put on the jacket and get on the bike without having to worry about any manually syncing the jacket to the bike. This is a smart business move for BMW, even though it puts into question a similar arrangement it has with Dainese. From how it looks, though, BMW appears to be leaving behind Dainese and moving forward with Alpinestars as its new safety tech partner. The inclusion of the word "exclusive" in the BMW press release is a good indication of this particular scenario. Pricing details haven’t been released, too, but I suspect an announcement to come shortly. Continue reading to read more about BMW’s technology partnership with Alpinestars. Everyone knows where I stand when it comes to motorcycle safety. I’m all for any company who puts the time and effort into creating new technologies that take the levels of safety to new heights. This is what the BMW-Alpinestars partnership wants to accomplish and I’m really excited to see what comes out of it. Granted, the concept of air bag jackets isn’t entirely new in the motorcycle world. Other companies have developed their own proprietary technologies catered towards the advancements of their products. But this is one of those times where the more variety there is in the market, the better of riders will be in the long run. Save for a few details, BMW and Alpinestars have been tight-lipped on their collaborative plans. We already know that a jacket and a waistcoat will head to the market soon. What we don’t know are the other safety and tech items the two companies have in store for u. Whatever they may be, I’m confident that BMW and Alpinestars will have a successful partnership in the coming years. Both firms will lean on the other to develop these items, all for the benefit of keeping riders safe on the road, wherever they may be. 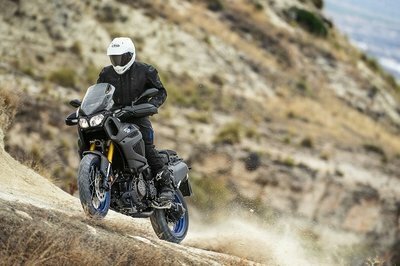 BMW Motorrad and Alpinestars announce that they are starting an exclusive cooperation in innovative motorcycle safety clothing systems. The first product to be launched under this cooperation will be a BMW Motorrad jacket jointly developed by BMW Motorrad and Alpinestars, combined with an airbag waistcoat developed using Alpinestars technology. The new BMW Motorrad jacket, being branded by both makers, will be available in both male and female versions and the public presentation of this newly developed airbag jacket will be held later this year. The airbag waistcoat is based on Alpinestars’ Tech-Air™ airbag system, the world’s first self-contained street airbag system that independently functions without the need for sensors to be installed on the bike and the subsequent need to link a specific motorcycle to the airbag system used by the rider. This means that the airbag waistcoat offers the freedom to ride any bike on any surface at any time and can be used with any type of BMW Motorrad motorcycle or scooter, allowing the rider to easily switch between bikes without reconfiguring or reinitializing the bike-to-rider set-up. 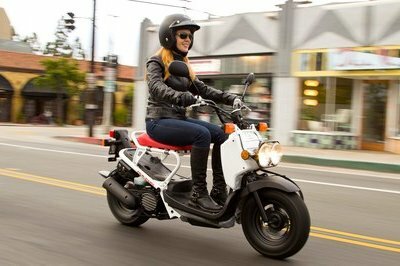 Therefore, the system is immediately ready for use and no time is wasted in setting up electronic pairing between rider and/or passenger and motorcycle. This BMW Motorrad/Alpinestars jacket and airbag waistcoat offers comprehensive upper body protection including shoulders, back and frontal torso. By incorporating its sensors close to the rider’s body the airbag system activates without the need for a triggering wireless signal to be sent from the bike. BMW Motorrad is the only motorcycle manufacturer to have developed the complete range of rider equipment ever since the 1970s - from motorcycle helmets to rider suits, boots and gloves. In doing so, high priority is attached to maximum comfort for the rider and passenger as well as minimizing the potential consequences of accidents. 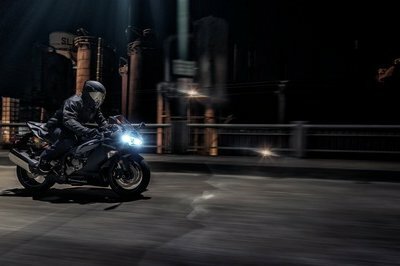 BMW Motorrad has always regarded motorcycling and safety as being inseparably linked and anchored in the "Safety 360°" principle. "Safety 360°" breaks down the overall concept of safe motorcycling into three facets: safety technology in the vehicle, safety deriving from rider equipment and safety through rider training. Alpinestars has been innovating motorcycle riding technology for rider protection, performance and comfort for over 50 years. The Tech-Air™ airbag system, which forms the basis of their active safety cooperation with BMW Motorrad, is the result of Alpinestars’ intensive research and development which commenced in 2001.